This was a quick read – a novella length story about a shared dark secret between 5 men who are High School Football Buddies known as the Lightning Five. This bears much similarity to King’s DreamCatcher. I would have preferred a longer book length version of the story to flesh out the characters and their back story more. Great illustrations by Glenn Chadbourne. Is Iron Man3 better than Iron Man2? Yes but that’s not saying much. And not by much. 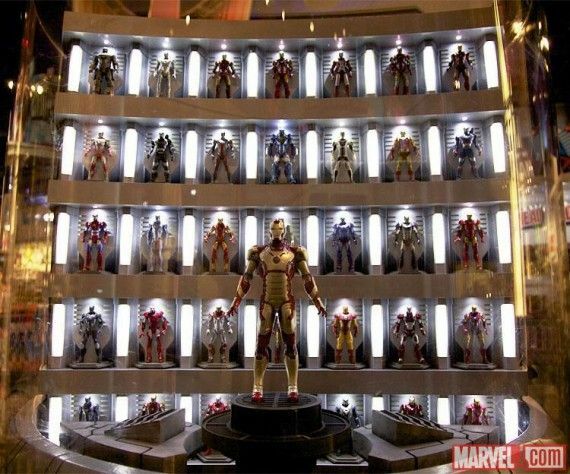 Both possess half baked and overstuffed plots and the drive to turn the Iron Man suits into a toyline continues unabated. Really dislike the change on the fly suit stuff too. Didn’t buy the PTSD storyline either. Movie’s strong point is how much Downey is in the flick. And the interaction between Pepper and Stark. Mandarin turned out to be a Bane-Bust and apparently the driving motivation to become a ubervillain requires nothing more traumatic than to be left out on a cold rooftop. At the end Tony Stark declares he is Ironman. Too bad that declaration came at the end of a movie that just demonstrated that any videogamer with decent skills would make a better one. This one does what the best books do – connects with the reader emotionally. N0S4A2 creates an inscape reading reality inhabited by characters that you care about more and more as the story goes along. Joe Hill continues to create quirky, flawed characters that makes me feel positive and negative thoughts. By the time the story ends, my negative thoughts are forgotten. The Brat is one of the most interesting and flawed characters I have run across in a long time. While Manx is the story’s titular antagonist, it is his sidekick – Bing Patridge – who is the most revolting and terrifying. For he is a simple fellow that has managed to built his own complex inscape that allows him to carry out atrocities all the while believing he is doing good works. Scary. This is my favorite type of story – bittersweet triumph tinged with sadness, gratefulness, and hope. These are great days indeed when there are books to be read from not just Stephen King but his sons – Owen and Joe – too. Endings – Or New Beginnings? This past week I have run across a trio of items that in one way or another deal with the ending of something. Be it a book series, stories about the end of a life and/or lives, and the conclusion of season long story lines. Even though all deal with endings they all also contain either the hint of new beginnings or in the case of Arrow – definite new beginnings. 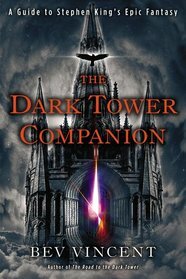 Besides a personally guided tour by Stephen King himself, no one could do more a more insightful overview of The Dark Tower saga, and by extension the body of King’s works, than Bev Vincent. Long acknowledged a master of King lore, Bev uses that acumen to succinctly tie everything together. Not only does the book include a handy reference guide to the major characters, places, themes and tie-ins, but in typical Vincent fashion, Bev raises interesting possibilities beyond the material itself. Some are conjecture. Others of an insight that only comes to those mastered in their subject. I’ll leave exactly what those possibilities are for yourself to discover in the book. Bev Vincent demonstrates his King acumen with this book. I’m doing a podcast interview with Bev about the book today and it should be up in couple of weeks. Keep an ear out for that! I’ll post a link here when it goes live. Peter Straub is a gifted writer who knows not only what to put into a story but what to leave out for the reader to ponder over. This is another example of that unique talent in a novella length ghost story. What starts out as a story about a man’s curiosity about a jazz saxophone player turns into a ghost story which became the catalyst for the sax player’s career. Now that’s how do you do a season finale! Whew! So many great moments for each character. Quite a feat. I am loathe to give away story/character specific spoilers but suffice it to say the show does not drag out arcs but continually reconfigures them or finishes them off so that new ones can be introduced. Nothing gets stales on this show. The capper is the main threat may have been thwarted but the backup one was not and the town still ended suffering a major blow. Well done Arrow show runners, cast, and crew. Well done. As expected, given the lateness of winter, we skipped spring and went right into summer. The temperatures literally went from 28F one Sunday to 28C by the next one. Snow didn’t just melt – it all vanished. Like ninjas into the night. Now the good times can start rolling with daylight sticking around past 09:30 pm already and humidity-free. Incorporating the first 10 chapters of Robert Sawyer’s Identity Theft into this book, the story continues in this book answering all the dangling threads. This is a fun SF/mystery/noire mash up that pays hommage to stories like The Maltese Falcon. The ability to transfer bodies to artificially constructed bodies keeps you guessing until the end who is whom. And who will live or die. This is a change of pace from Sawyer’s previous novels as it does not contain any big idea concepts and is focused mainly on human motivations. It sounds like Rob’s next book returns to the big idea concept and a very fascinating one at that. I eagerly anticipate that one but until then this is an excellent change of pace. NBCs Hannibal continues to impress. The show has avoided being a serial killer of the week show and is deeply exploring the psyches of not just Will Graham but Jack Crawford too. The exploration of Lecter is at a much slower and more subtle pace. The glimpses into his mind are only seen through whatever killings that take place in an episode. This week’s installment entitled ‘Entrée’ – each episode is named after some item of French cuisine – made many callbacks to the Silence of The Lambs and served up a Clarice Starling-like FBI trainee – Miriam Lass played by Anna Chlumsky – that Crawford employs to help in the search the Chesapeake Ripper. There is an inmate at the Baltimore State Hospital ensconced in a cell down a hall very much like the one from SOTL. The Ripper has been silent for two years and Lass has been missing that long. The inmate is another doctor – Dr. Abel Gideon played by Eddie Izzard – who has just killed a nurse in the same ritual as the Ripper. Graham and Crawford are not convinced that Gideon is the Ripper and we learn through flashbacks that Lass inadvertently discovered who the Ripper was when she visited the recently retired surgeon – Hannibal Lecter. Her discovery and the sight of a sock footed Lecter – he had just removed his shoes to sneak up behind her – happens with a shocky swiftness. Well done. 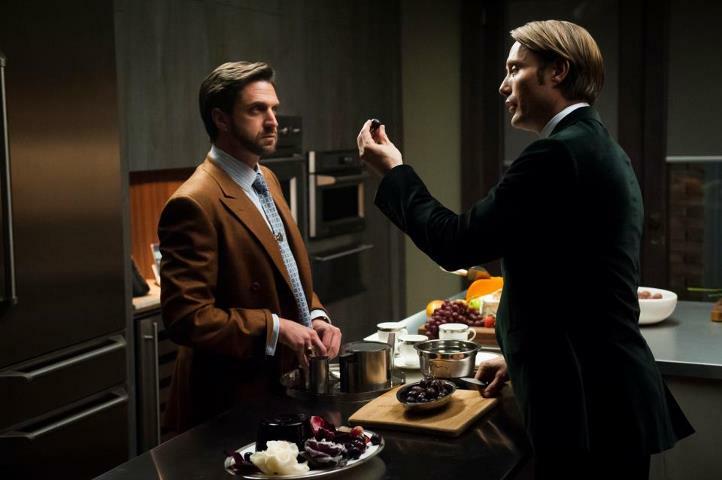 And the scenes with Hannibal serving guests meals – has yet to get old.